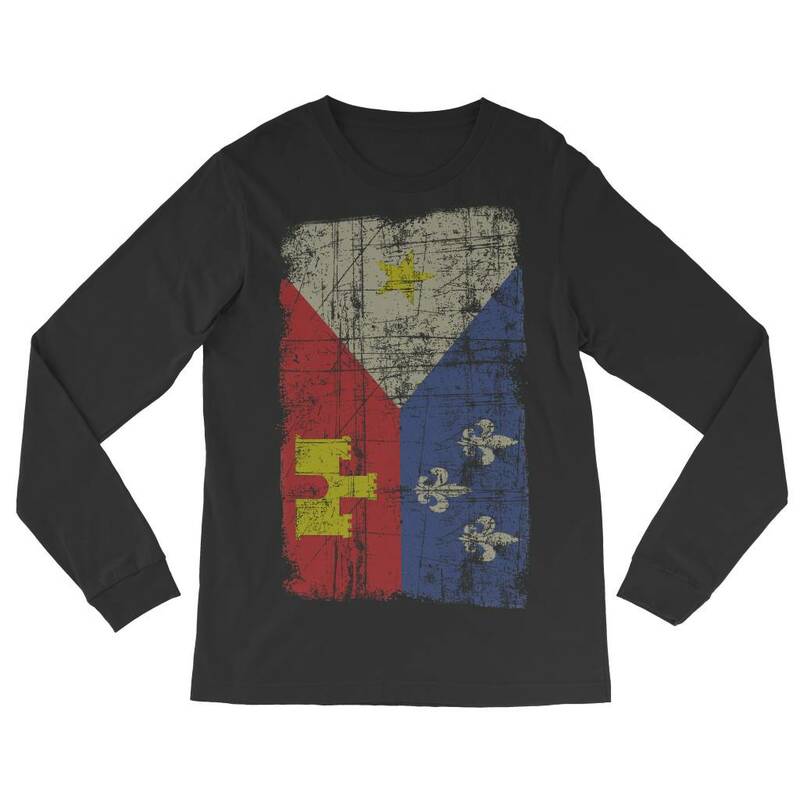 "Acadian Flag" men's long sleeve tee. 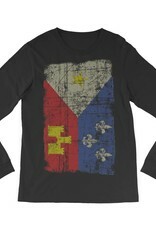 Our grungy version of the flag of Acadiana. The gold star, also known as the star of Acadie, on the white field represents our ties with Canada. The white fleur de lis on the blue field represent our ties with France, and the gold castle on the red field represents our ties with Spain. 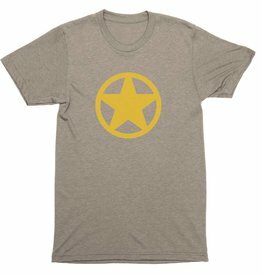 Wear with pride. 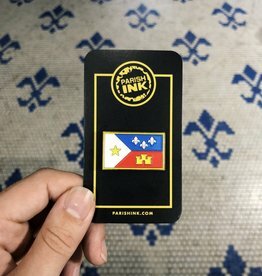 Printed at our shop in downtown Lafayette, Louisiana.